We appreciate your interest in joining the Dogwood Acres Pet Retreat team, an equal opportunity employer. The following positions offer salaries commensurate with experience as well as an employee bonus plan. For full–time employment, we offer health insurance, paid vacation, a retirement savings plan, and discounted veterinary services. 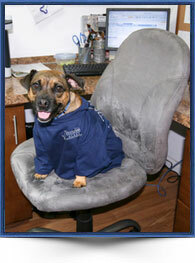 We prefer applicants with comfort and experience with animals who want to be a part of a hardworking, fun loving team. However, we do offer training with every aspect of each position and welcome applicants from related backgrounds, especially within the hospitality industry. Responsibilities include taking reservations on the phone, in person, and on–line. Will also provide customer service in checking guests in and out. This position will require some dog and cat handling. The successful candidate will have comfort working in a fast-paced, customer service oriented environment and will have strong organizational, multi–tasking, and customer relation skills. Computer skills strongly preferred. Responsibilities include feeding and medicating guests, bathing them, cleaning and maintaining neat guest quarters, supervising playtime and daycare, and ensuring all guests’ general well being. Will also maintain all common areas and attend to any special requests. Comfort with animals is required and experience working with animals is preferred. If you’re interested in joining the Dogwood Acres Pet Retreat team, we encourage you to submit a completed application form. We regret that we cannot respond to all inquiries, but we will retain all applications for future openings. What days/times are you available? Do you have any other schedule restrictions?